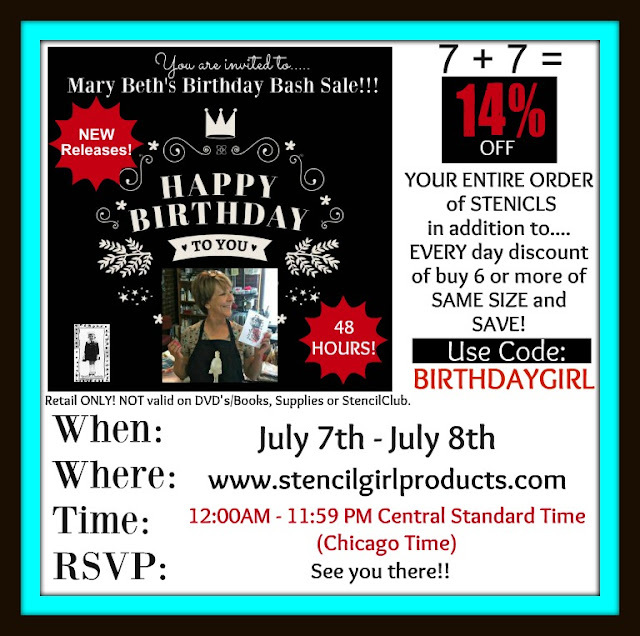 Believe Dream Create with Maria: Did Someone Say Stencil Sale?? Did Someone Say Stencil Sale?? Looking for stencils? Today is a great day to get some! Head on over to StencilGirl Talk to find the details. I am so lucky to be among such a talented group of artists at StencilGirl! What a lovely collection of designs, Maria!